Empire Crane Co. in North Syracuse, N.Y., has placed an order for new models, including seven AC 45 City cranes. Customer demand for strong, compact all terrain cranes is on the rise in North America and Terex Cranes distributor Empire Crane Co. in North Syracuse, N.Y., has placed an order for new models, including seven AC 45 City cranes. An uptick in the construction industry and customers' interest in crane models that are compact in size, easy to transport and versatile is helping to drive Demag sales in Empire Crane's northeastern U.S. territory. 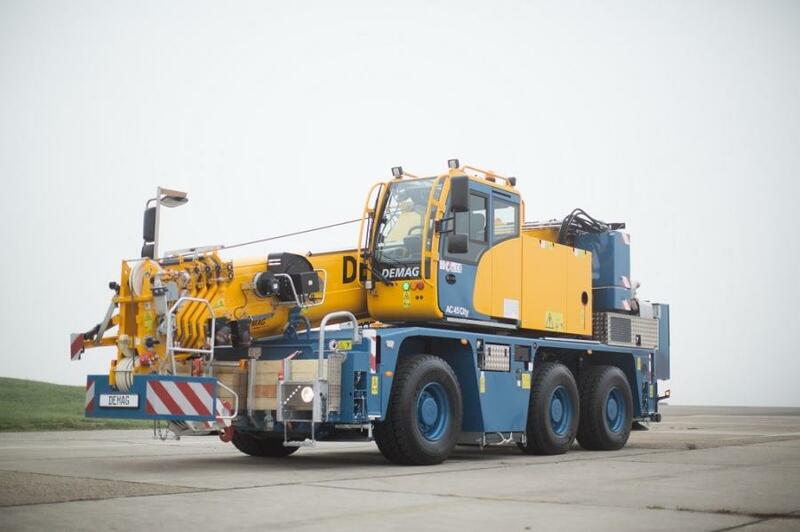 The Demag AC 45 City crane is the newest model in the Demag product line-up, and Empire Crane will be among the first distributors in North America to carry it. The new 3-axle compact crane has a 50-ton (45 t) lift capacity classification, is equipped with a 102.4 ft. (31.2 m) long main boom and a maximum system length of 145 ft. (44.2 m). With its compact carrier length of just 23.6 ft. (7.20 m) and overhead height of 10.4 ft. (3.16 m), the Demag AC 45 City crane is well suited for tight working job sites and many indoor lift projects. Empire Crane also is adding a 4-axle Demag AC 100-4L 120-ton (100 t) capacity class crane, a 5-axle, 140-ton (130 t) capacity class AC 130-5 crane, a pair of 5-axle, 180-ton (160 t) capacity class AC 160-5 cranes and a pair of 5-axle, 300-ton (250 t) AC 250-5 all terrain cranes to its inventory. Empire Crane also has ordered an AC 500-8 all-terrain crane, which is for the Hallamore Corporation. Hallamore Corporation currently owns and operates an AC 500-1 machine. Hallamore Corporation chose the AC 500-8 based on its updated performance of the main boom and luffing capacities as well as the enhanced safety features that have been introduced for the assembly of the machine. For more information, visit http://www.empirecrane.com.